That’s it! I’ve had enough….I’m now goiing to sit down with a coffee and tell you all about my miserable day!! You have been warned!! Well it started at 4am when I woke up like a lark and thought I would bounce out of bed which I did only to find it was still dark….then the dog, dear little Charlie woke up at 5 desperate to go out into the garden…goodness knows what he’d eaten the day before, probably a stick!! Anyway his digestive system refused to deal with it so at 5:01 I was in the garden in my PJ’s and dressing gown in the pouring rain, it was chucking it down with a vengeance!! But I kept my calm and cooed sympathetically and the pooch came in soaked to the skin so I had to towel him down…. Then I had my highlight of the day, the walk in the woods, now one of my good friends has a new job and so I don’t see her as much, and I miss our talks, fortunately another fun friend was walking today so it was great to have a catch up and we were lucky – we didn’t get wet. So that was all good. I came home and decided to tackle the kitchen, I know we haven’t finished yet we can still see daylight through the wall and we need to replace some of the ceiling but all of this work has caused so much dust and dirt – I just can’t stand it anymore so I’ve spent the day wearing rubber gloves and scrubbing away like mad. 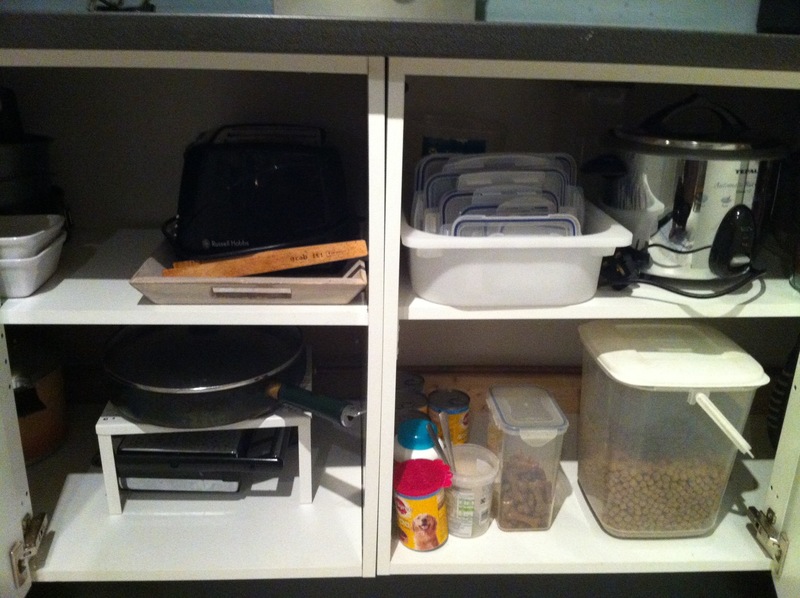 I’ve also taken all the contents of my kitchen cupboards that were strewn across the study and the dining room and organised them and put them back into their places so I am actually feeling quite satisfied but to be quite honest I’m exhausted….how on earth do we get so much ‘stuff’ in one small (read….miniscule) kitchen? I haven’t even taken a photo yet, I’ve a horrible feeling you’re going to get a couple of photos of the insides of my cupboards…how’s that for progress? I can’t believe that I started this blog with the intention (hopefully) of improving my photography skills and lately all I seem to manage is a quick snap on the iphone!! Ah well that’s life I suppose! I have however taken out an hour today and become a member at Redbubble.com it looks pretty good, so I’m hoping this will help….here’s a link…. I don’t know if this will work…I’m not too hot with HTML….fingers crossed!! Damn it didn’t work….back to the drawing board!! 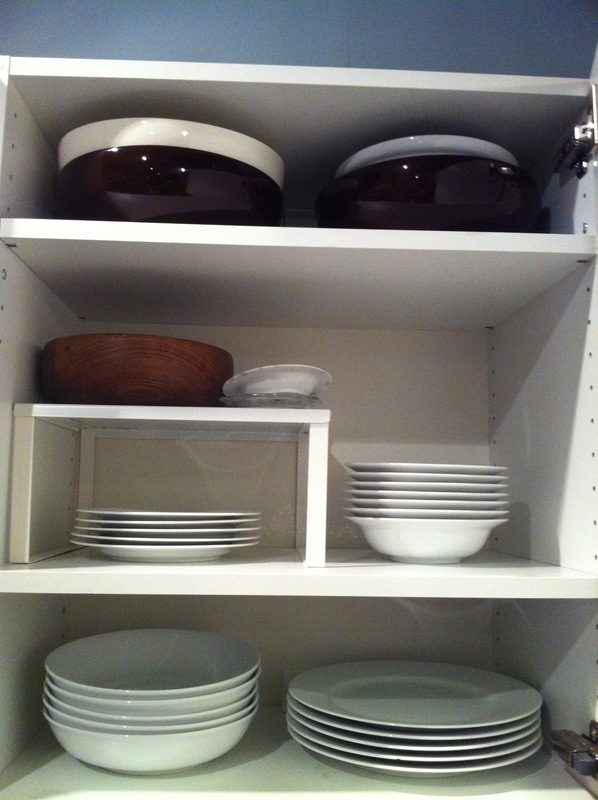 Damn it didn’t work so you’re getting the cupboard photos…. Sorry Jax!!!! Well that’s it for now….ahh good news, I have another friend popping over to see me (with a bottle of pink wine!!) so it’ll be good to have an excuse for a sit down!! Um, nice cupboards. I have to say that anyone who can organise tupperware lids with such precision gets a big round of applause from me. We have a cupboard in our kitchen, a secret dark place where plastic stuff seems to get up and walk around all on its own. The plastic tubs are evil, they pile up ready to unleash an avalanche the second you open the door. Plastic tubs are not my friend! There you go my secret is out!! I’m a wee bit OCD!! And by the way don’t worry about it….it never stays like that for long…all I need to do is pull out one and the whole system collapses!! But it looks good for a while and makes me feel good ahhhhh!! It’s silly how good that feeling is when it’s all neat and tidy! Agreed it feels really good, the fact that the rest of the house is like a disaster zone doesn’t seem to matter!! !